When it comes to online reservation management, OpenTable was established as a social media leader early on. Taking web reservations for restaurants since 1999, they’ve had a stronghold on the market. Any automation in the hospitality industry that can help meet a challenge is welcome. Whether a restaurant is a startup or an established eatery, innovations are hard to find. Their Electronic Reservation Book (ERB) essentially replaced the traditional paper reservation system for many restaurants. OpenTable provides ERB as an integrated software and hardware solution that computerizes restaurant host-stand operations. The restaurant pays for the hardware and an initial installation, as well as a monthly subscription fee and a per-guest reservation fee. What about the little guy, or those who may be a bit more tech savvy? Enter Urbanspoon, developers of the insanely popular iPhone and Android apps, shown here. The unique Shake Your Phone to decide where to eat has been gaining fans online since its inception in 2008. The app has been shaken over a billion times. 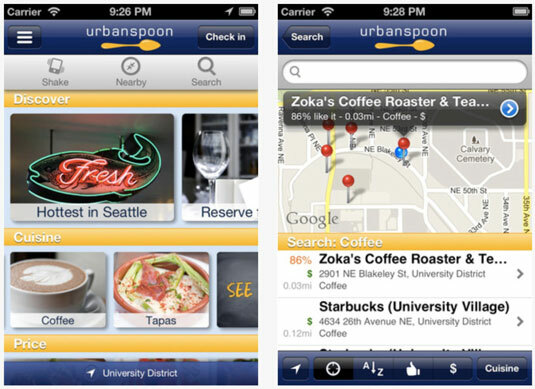 The iPhone version of the Urbanspoon app has been downloaded more than 20 million times. In 2011, web traffic for Urbanspoon was up 80 percent, the mobile side of Urbanspoon saw 112 percent year-over-year growth, and the company had 255 million visits (up from 141 million in 2010). If your restaurant has an iPad (needed for the restaurant’s working view), you can avail yourself of Urbanspoon’s iPad app, RezBook, which enables online reservations. RezBook, similar to the OpenTable software, is also capable of storing customer information, seating requests, and more. Currently available in many cities (and launching in more), the service lets customers book tables at restaurants online by using the Urbanspoon mobile app or a widget placed on a restaurant’s home page. 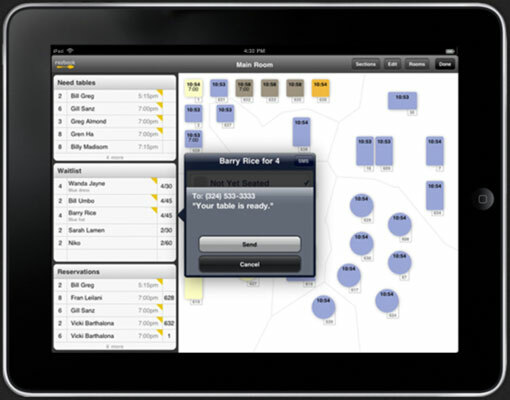 Reservation management on your iPad from Urbanspoon. Right Now, a newly launched feature, enables prospective diners to view immediate table availability at a restaurant. The feature supports real-time availability for both reservations and walk-ins. There’s no big software to buy and your business can get up and running in 15 minutes. A customizable widget can also take reservations from your website. Currently, Urbanspoon charges a reasonable per-user subscription fee. Want to just give it a try? You can use it based on performance only at $2 a seat.